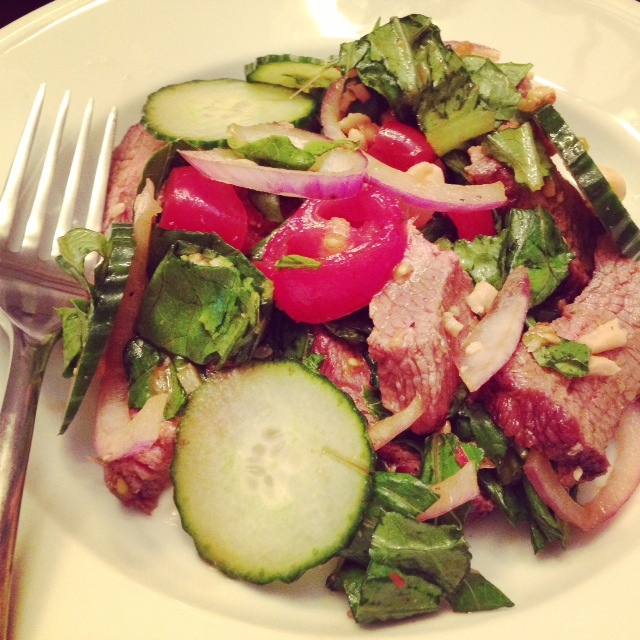 Thai Beef Salad With Cucumber, Tomato & Onion With Ginger-Lime Dressing. 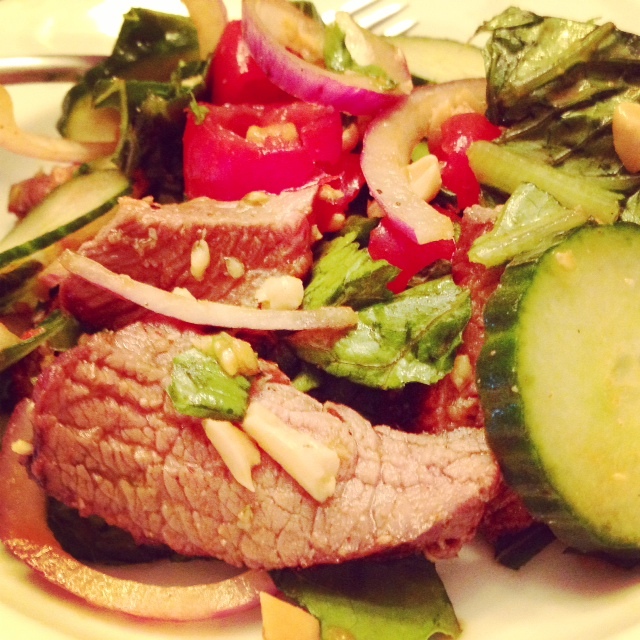 Thai Beef salads are one of my favorite dishes to order when I go out to Thai restaurants, so I was excited to finally make this for myself at home. 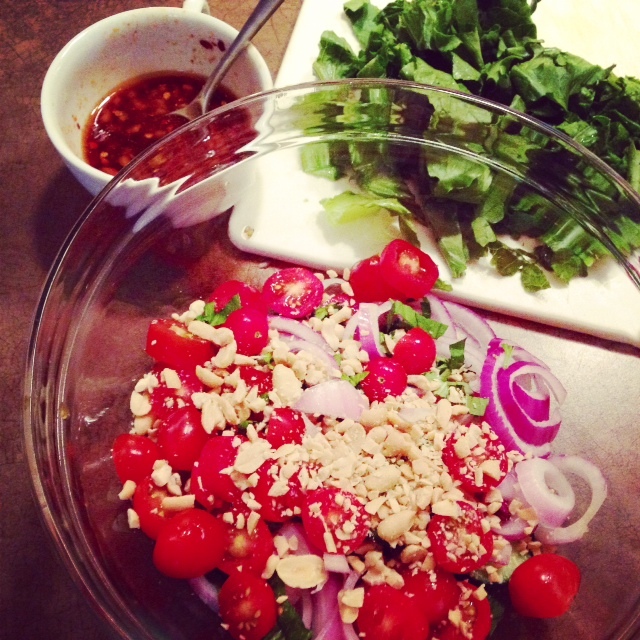 This salad has tons of texture and flavor – it’s crunchy, tangy, sweet and savory. 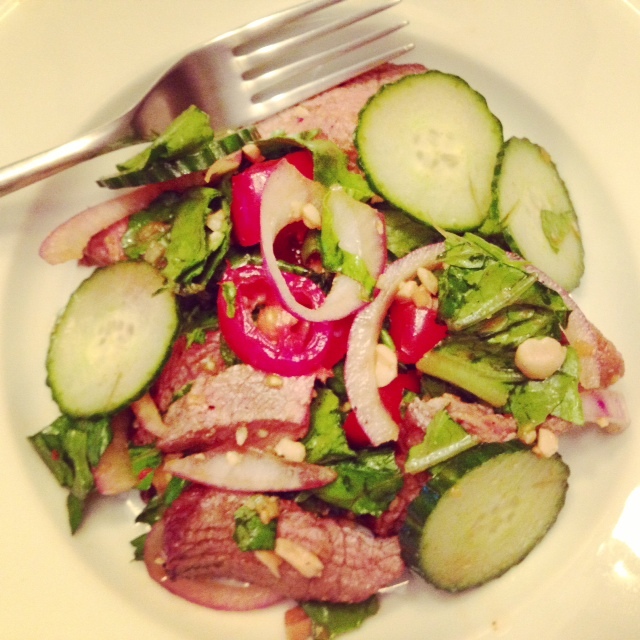 It’s full of bright flavor and makes a great, light meal. Begin by making the dressing. 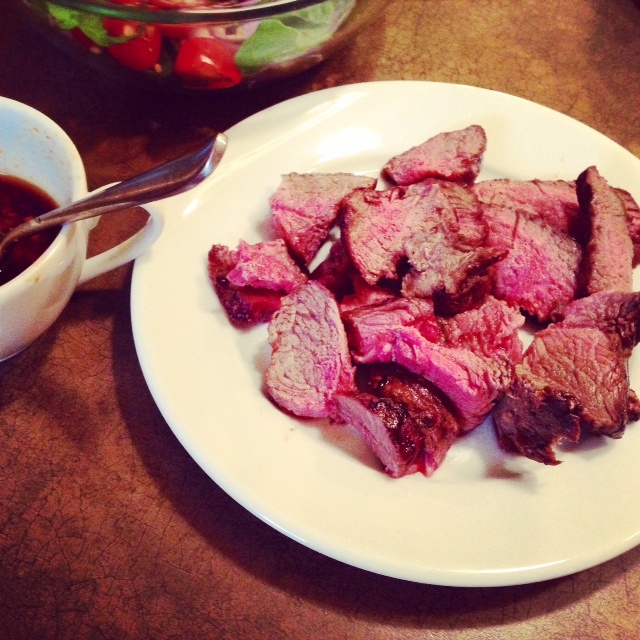 Combine the Tamari, lime juice, sesame oil, ginger, sriracha and hot red pepper flakes and whisk well. 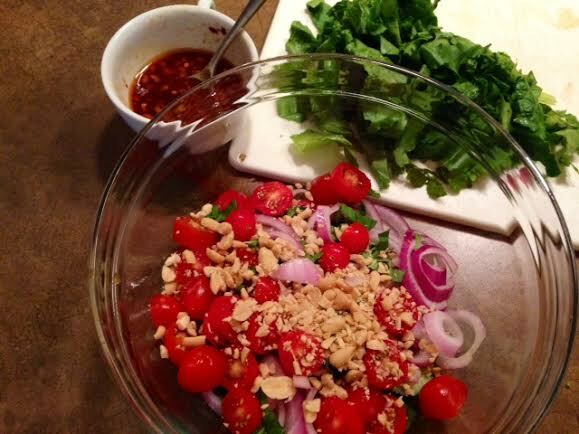 In a large mixing bowl, add the lettuce, cucumber, onions, tomatoes, peanuts, basil and room temperature beef. Pour the dressing over top and toss to combine. ← Loco For Lomo Saltado.